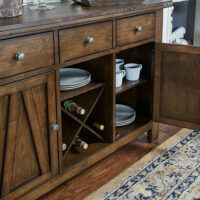 The Modern Rustic Server combines wood and metal. 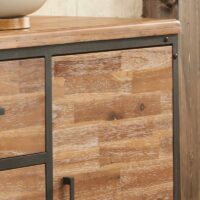 It blends both rustic and modern design elements. 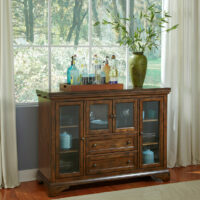 Solid Mahogany server with three felt-lined drawers and four wire mesh doors and oil-rubbed bronze hardware. 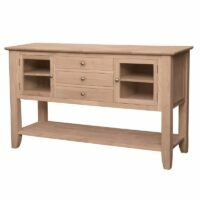 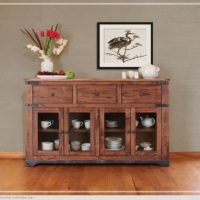 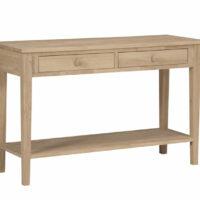 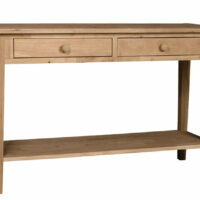 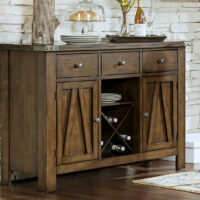 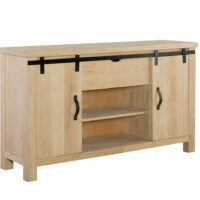 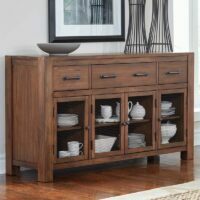 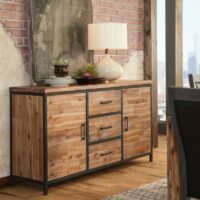 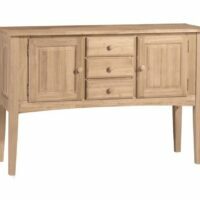 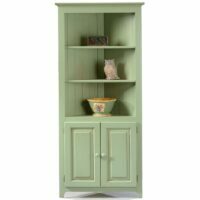 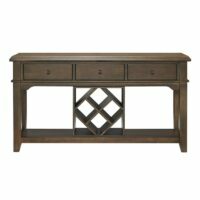 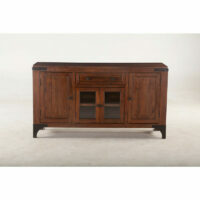 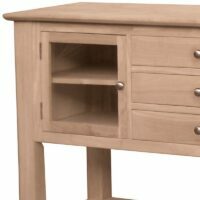 Measures 61″ W x 18″ D x 34″ H.
The Canyon Pecan Dining Room Server makes you want to have company over. 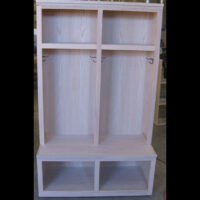 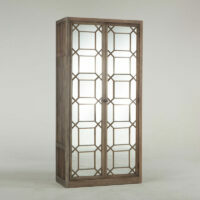 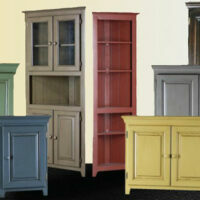 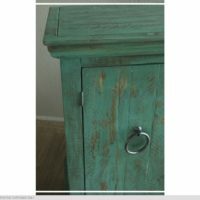 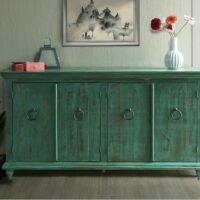 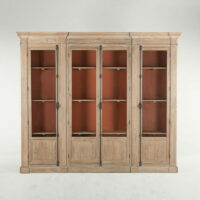 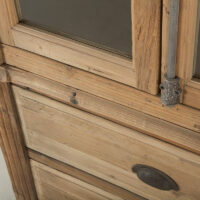 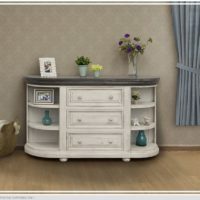 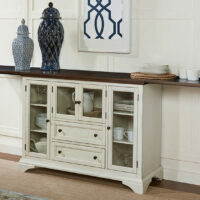 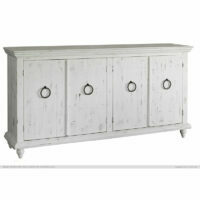 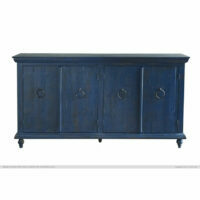 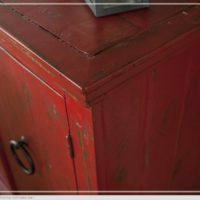 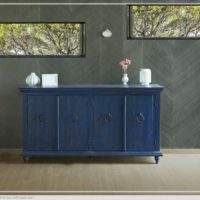 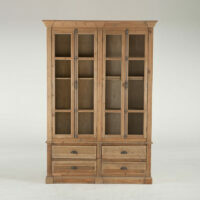 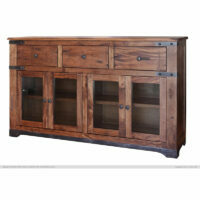 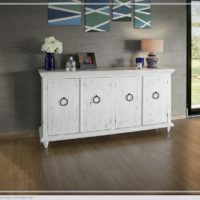 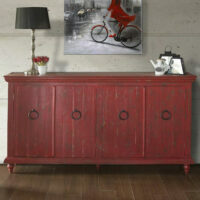 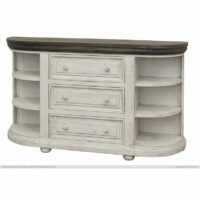 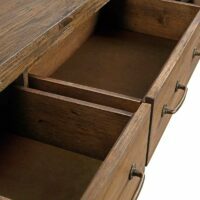 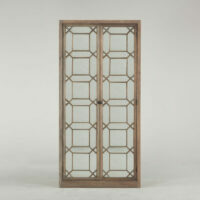 It has a wine rack, a lot of storage space, and is finished in a slightly distressed Rich Pecan. 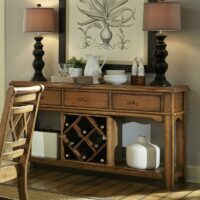 It’s part of the John Thomas Canyon Dining Collection. 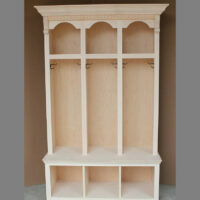 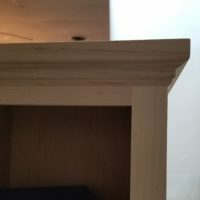 Ready to stain or paint and make your own!